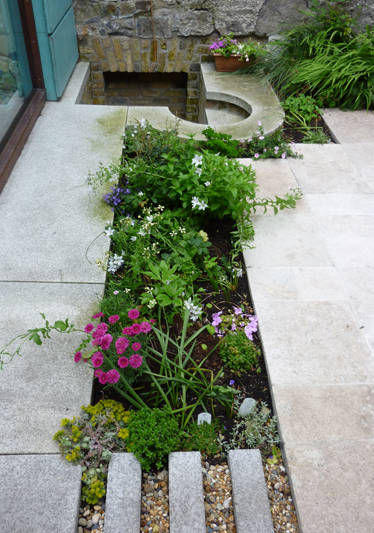 This project is a small ground floor extension to the rear return, the replacement of a ground floor door and first floor window and new hard landscaping. 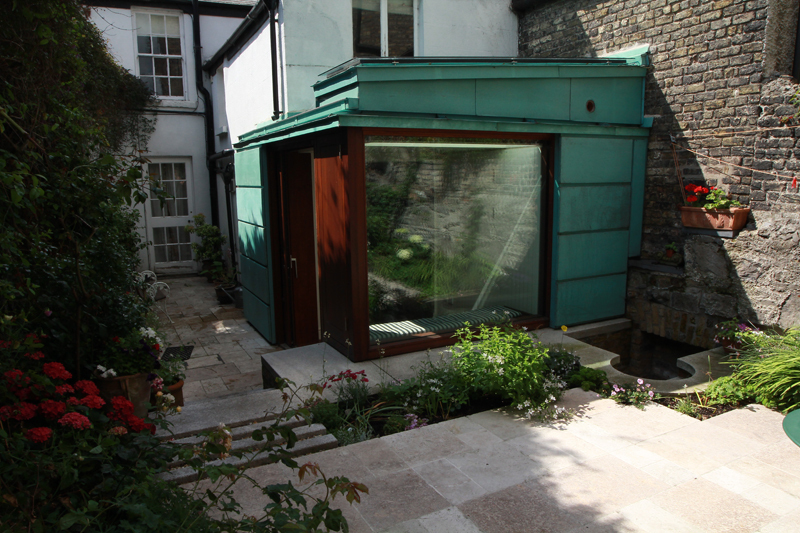 The extension provides a small wet room, concealed behind a vertically sheeted partition, and a small seating/dining area at the north end of the existing galley kitchen. The wet room is sky lit. The seating/dining area is sky lit and side lit from the extensive glazing on the north and east sides. 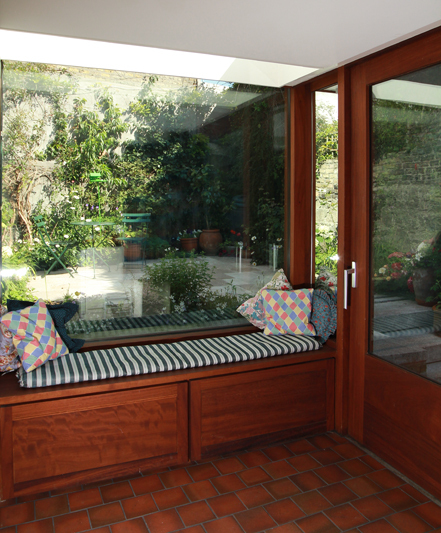 The extension provides views of the garden from the kitchen which were not previously available. 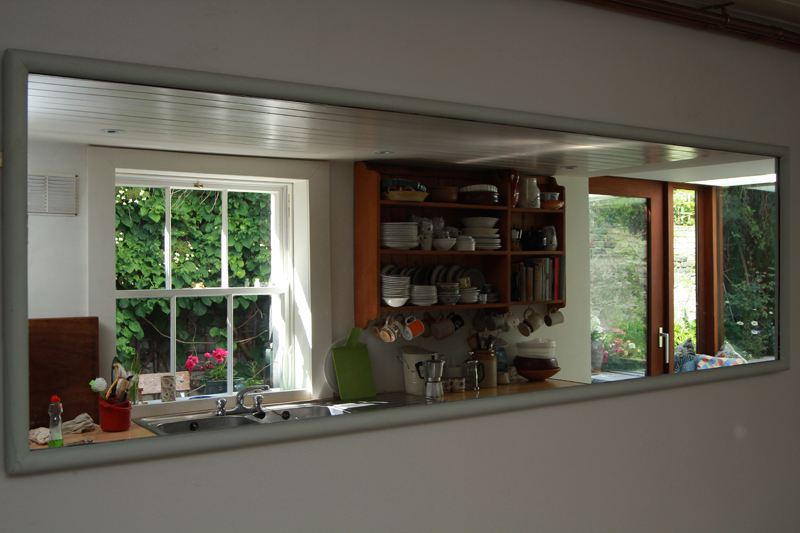 The side hung vent beside the sliding door is mirrored internally-when opened it reflects south light into the north and east facing extension. 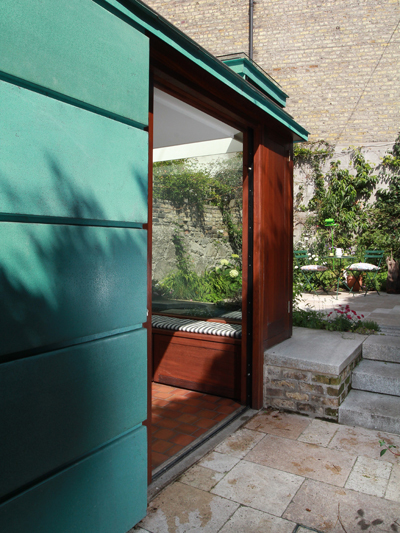 The sliding door opens into a copper clad pocket formed against the wall of the return. The roof and walls are clad in copper-a nod to the copper clad dome of the nearby church. 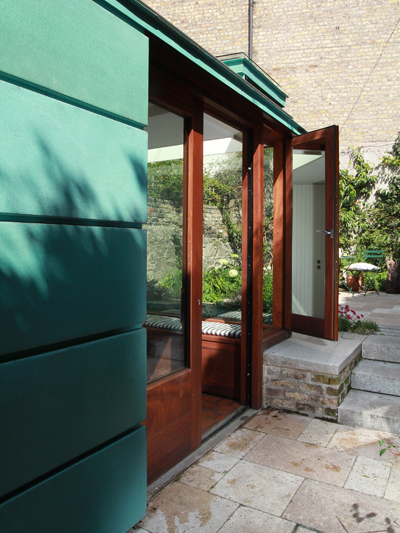 The joinery, which supports the roof, is made in Iroko. The floor of the extension is finished in Welsh quarry tiles-matched as closely as possible to the Welsh quarry tiles which were laid in the hall and kitchen of the house in an earlier refurbishment.